No longer do video walls need to be permanently mounted in place. Now have the freedom to display your information anywhere you choose. A single video wall can be used in multiple locations as the need arises, greatly increasing the value of your investment. Live Wall Media’s portable video wall assembles in about 20 minutes including mounting the LCD’s. 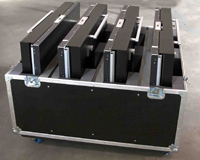 Disassembled, the Portable Video Wall fits in up to 5 travel cases, making movement and storage of the Portable Video Wall easy. Live Wall Media’s Portable Video Walls combine our powerful video processors and bright LCD displays into truly portable display walls. Our portable mounts can be customized to fit your particular needs, each design is certified by our mechanical engineers for strength and stability. Each Portable Video Wall is completely assembled and tested in our facility prior to shipment to ensure there won’t be any problems or surprises when your wall arrives. 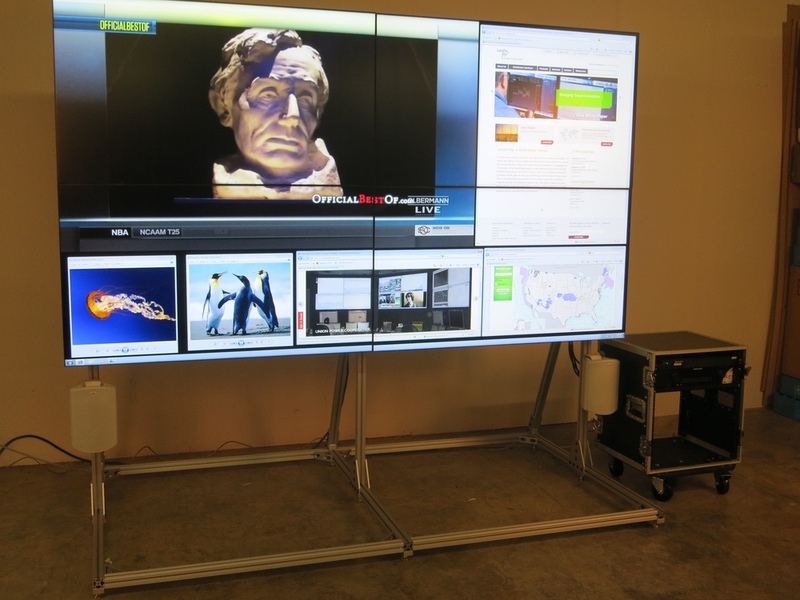 The Live Wall Portable Video Wall is the ideal solution for mobile command posts, tradeshows, events in temporary facilities and in situations when moving it to different locations within the same facility is necessary. Control room video walls also need to be portable in some situations, making this an ideal solution.